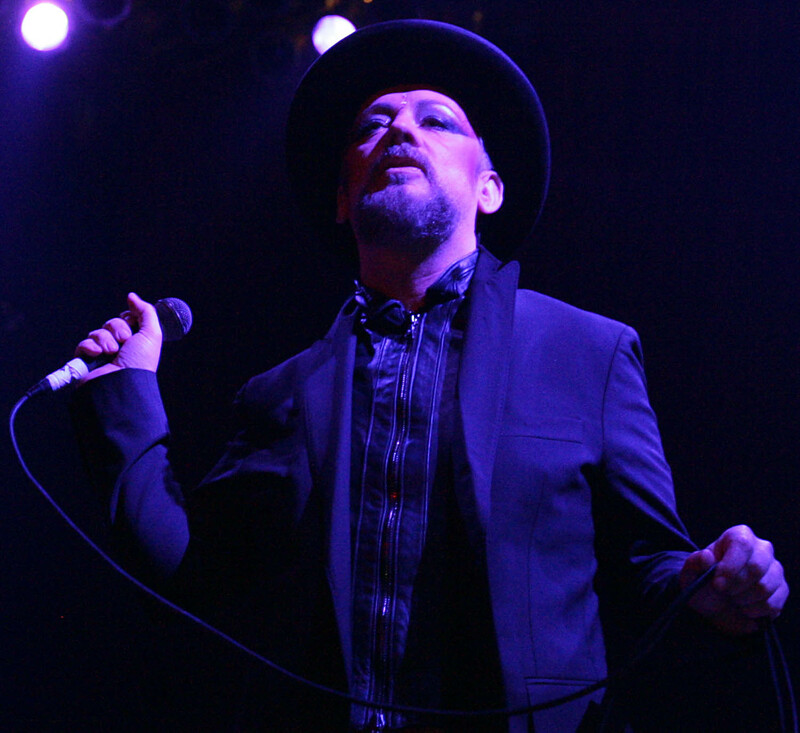 Anticipation was bursting at the seams of a sold out House of Blues just before midnight Saturday as Boy George swept into town with a nine-piece band supporting his first solo studio album in 18 years, This Is What I Do. What would the 1980s icon turned periodic tabloid headliner look like, how would he sound and what exactly would the set list entail? 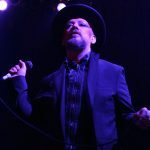 The sometimes Culture Club singer may be 52-years-old these days, but looked slim and trim thanks to a fitness kick, vegan diet and completely clean status, though age has also brought a lowering of his voice that’s found the pop chameleon further embracing and revisiting his increasingly noticeable reggae interests. 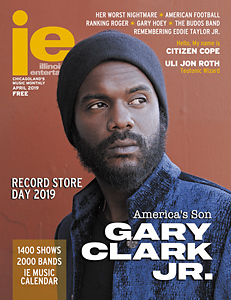 Between that retooled, range-accommodating sound and George’s pride over the unbelievably belated batch of new material, the evening read much closer to a slowly percolating groove than an all out dance party. 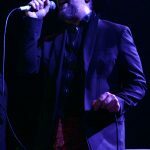 In fact, it would be fifteen songs into the near two hour evening before a major hit single surfaced, which on one hand made it clear the singer/songwriter wasn’t merely playing the nostalgic card, but in the process, perceptibly tested the patience of more casual onlookers. 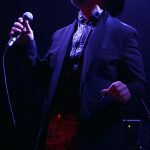 The recent project’s lead off track, “King Of Everything,” set the tone of chilled out rhythms and laidback brass blasts that would follow, though by the second current album cut “Death Of Samantha” (a Yoko Ono cover), the natives were already getting restless. Extremely loud chatter had George calling for respect and questioning why those folks even bothered coming in the first place, and while everyone sheepishly lowered their voices for his low-key take on George Harrison’s “Any Road,” another hour of less familiar tunes and interpretations of other artists didn’t do much to improve the mood (although the Memphis meets New Orleans soul of “Bigger Than War” and the chugging “My Star” were certainly worth some serious consideration). Many abrasive mutterings of disappointment in the song selections and their subdued nature could be heard with regularity from the bar to the bathroom, fans were hoping the Boy would simply kick things up a notch. 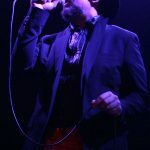 That finally came, albeit quite a long time later with the singer sounding a bit horse, as a reconfigured “Church Of The Poison Mind” from his Culture Club days gave the night a substantial jolt of energy. 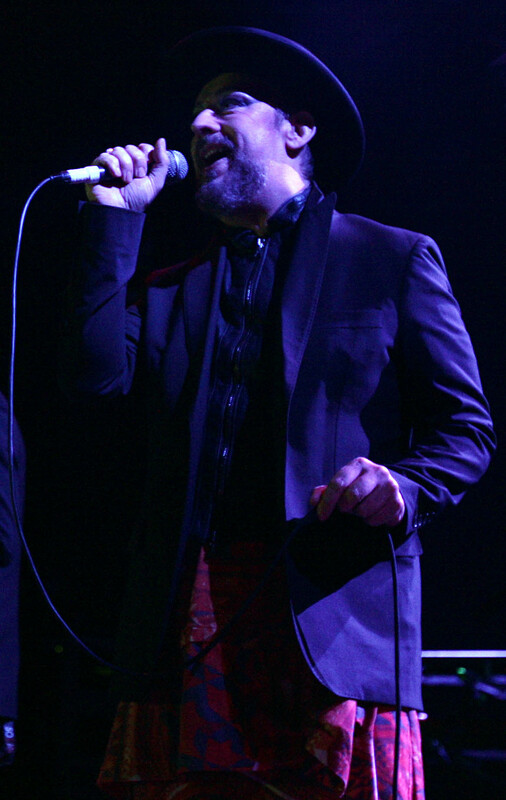 Following up with the group’s “Do You Really Want To Hurt Me” was another crowd pleaser, even if it was arranged at a lower octave than back in the day, while the mandatory “Karma Chameleon” found the band flexing its muscles and George holding out his microphone for all to gleefully sing-a-long. 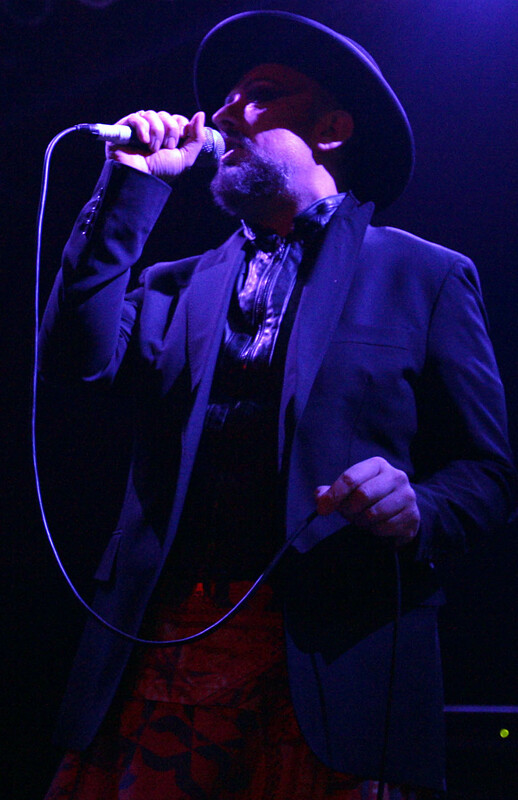 However, those were the only three Culture Club cuts presented, which meant no “Time (Clock Of The Heart),” “I’ll Tumble 4 Ya,” “Miss Me Blind,” “It’s A Miracle” or this tour’s fairly frequent treatment of “Victims,” plus he even skipped the individual smash “The Crying Game.” The final stretch was equally puzzling, split between a spirited take on T. Rex’s “Get It On,” the acoustically-framed “Bow Down Mister” (from George’s Jesus Love You side project) and the underwhelming finale “To Be Reborn,” a rarity from his first solo record played to a significantly thinning audience. 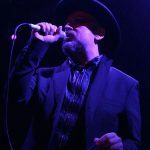 In spite of pacing problems, obscure song choices and skimping on the hits, it’s nice to have Boy George back to making music in general rather than getting into trouble (a potential Culture Club reunion (and tour?) will solve these issues for most hit-starved fans). Not only are there some genuinely engaging vibes on This Is What I Do, but his feet are firmly planted in the present without any danger of apathetically recycling his past. Now if only he could balance both of those eras a bit more evenly in concert, it would likely keep the many factions of his diverse fan base interested long enough to see there’s still just as much substance as style in the life of this perpetually intriguing entertainer. I agree with the review. Why is it if people don’t like a Boy George concert, the response is it’s not 1982 and George isn’t a greatest hits cabaret act, Simon? That is not what the review said it all if you actually read it. 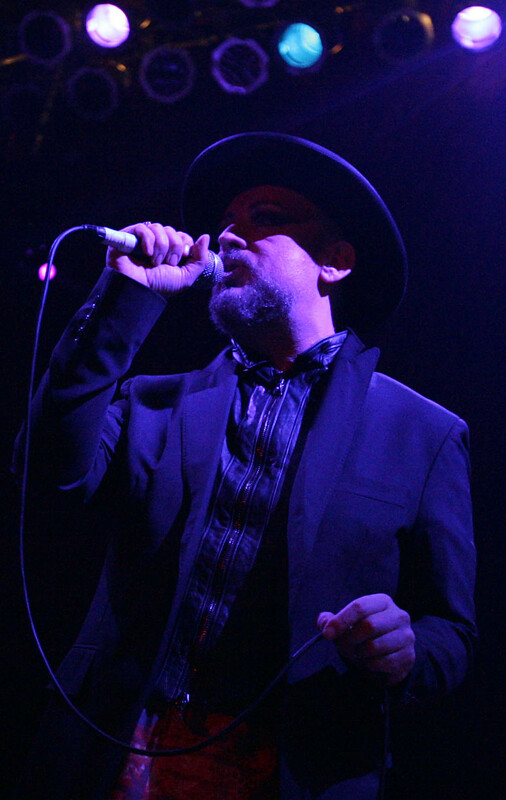 The reviewer liked George’s new album but he wanted an overview of all of George’s music from Culture Club until now, including the best of his solo work like the Crying Game. He didn’t say sing nothing but CC songs. He said sing the new and the old because it is all part of who George is as an artist. Is there some rule that you only listen to music that was recorded recently. Some people love to listen to or perform classical music. Are they not allowed to do that because it’s not the 18th century? Some people like jazz from the 40s and 50s? Is that not allowed either. George himself says he listen to David Bowie’s old records? Does that mean he’s stuck in the 70’s. 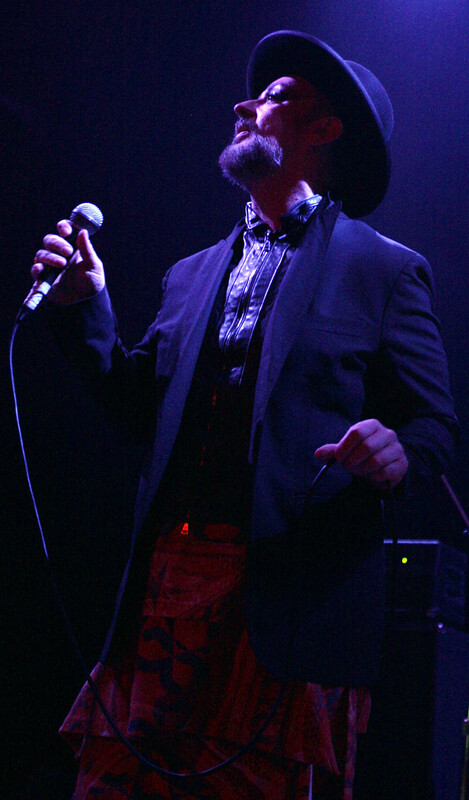 I love CC, but am being told that I’m no longer welcome in Boy George’s world. Fine, I will move on to other artists. He’s turned his back on me. Goodbye, George.